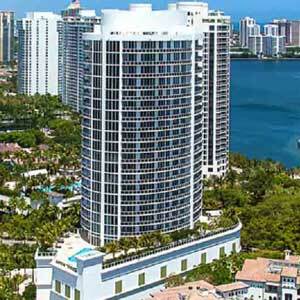 See what Aventura real estate market offers. Browse Aventura real estate listings with water & city view. Choose your next Aventura luxury real estate HERE. 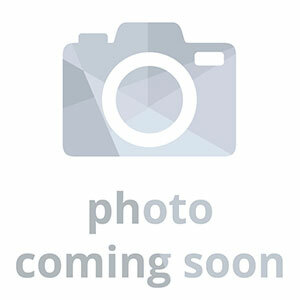 Most complete inventory of Aventura Real Estate for sale and rent in the area. Aventura FL is known for its high standards of living, expansive Intracoastal, City, and Ocean views amazing golf courses and welcoming communities. Naturally, the City attracts many potential home buyers who are interested in purchasing a Condo or Home in Aventura luxury real estate market. Please Contact Us or give us a CALL 786-505-4786 if you have a question about the Aventura Florida Real Estate Market. Whether your family is looking to enjoy the white sandy beaches of nearby Atlantic Ocean a few times a year. Or maybe a retiree looking for a 55+ community. Or perhaps just looking to relocate for a better way of life. There are Aventura real estate listings that offer something for everyone. 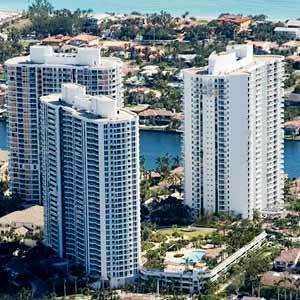 And one of the top cities to consider when looking for real estate for sale is in Aventura. Featuring a wide variety of features and amenities available Aventura Real Estate properties some of the listings can put a smile on the pickiest buyers face. See other wonderful cities neighboring Aventura like the Hallandale Beach or North Miami Beach how about Sunny Isles Beach. 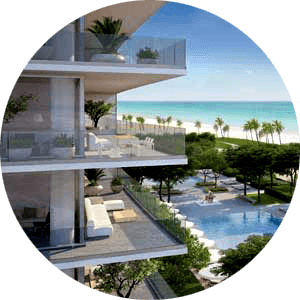 Aventura real estate for sale, for example, has almost every luxury amenity you can think of. You’ll enjoy Jacuzzi, swimming pools, waterfront views, tennis, golf courses and more when you live in one of these luxury condo complexes or communities. Aventura real estate is perfect for anyone who wants to enjoy the best of what South Florida and North Miami have to offer. Working with one of the Aventura real estate agents will open the endless possibilities to what the City has to offer. Finding the best real estate deal can be a challenge, but only because the City has so much to offer. Whether you are looking for an upscale condominium or your own private estate, there are plenty of choices available. 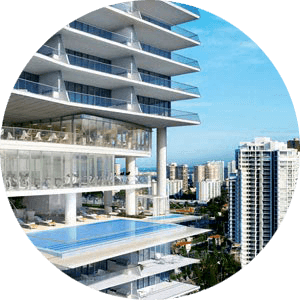 For condos in Aventura, many people like and recommend Artech, Aventura Marina, Turnberry Towers or The Point Aventura Condos and Townhomes. If it is luxury homes in Aventura that fits your needs, gated communities are plentiful and you will be able to find one that perfectly suits your lifestyle. Check out Island Estates or Aventura Lakes. The city of Aventura was planned and designed to have a private, comforting feel to it with everything within walking distance or a short drive from just about any development in the area. No matter where you are in the City, you will be surrounded by stunning scenery, tropical vegetation, marinas, and water canals. 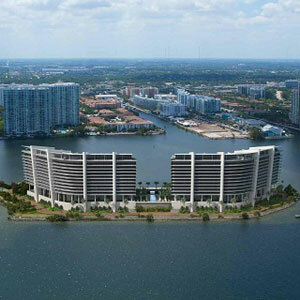 Aventura Real Estate also has beautiful pristine lakes, parks, waterways and eastward views of Atlantic Ocean. A large nature preserves borders one of the most prestigious neighborhoods in the area, Aventura Lakes. Almost every house in the area has a waterfront view and a well-sculpted tropical lawn. Aventura Luxury Real Estate has a classic tropical feel that works well with the Florida atmosphere. 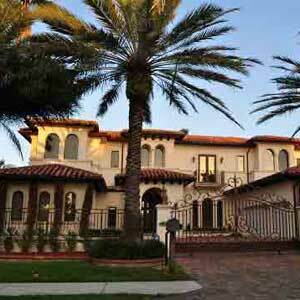 Many of the homes for sale in Aventura Florida have Spanish-Mediterranean architecture. This North Miami style can also be seen in the high rise condo buildings, which tend to have a modern architecture with elegantly designed interiors and stunning tropical gardens. This creates a tranquil, carefree setting that people can be proud to live in and enjoy. Numbers of different architects and developers have worked to transform and shape the City of Aventura Real Estate Market to what it is today. Most of the buildings were constructed in the early 1970’s, 80’s and 90’s; however, many have been remodeled and updated to incorporate modern designs. Some of the more modern and high-end real estate in Aventura FL for sale has been build in the last few years and a new wave of construction is taking place again. Super Luxury modern condos, penthouses, townhomes, and single-family homes are changing the landscape of Aventura luxury real estate again making this city a destination of choice for boat lovers, golfers and some of the elite buyers from U.S, Canada, South America, and Europe. If getting the best home or luxury condo in Aventura real estate is your top priority, then working closely with an experienced real estate agent will allow you to find a place to live that really suits your lifestyle. Real estate in Aventura has so many options it actually gets to a point that some buyers just get overwhelmed with options. 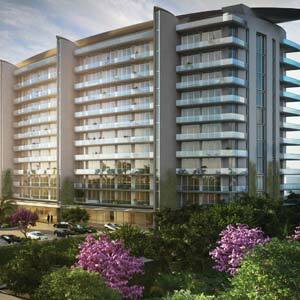 Aventura offers some of the best and most diverse real estate options in the North Miami area. Whether you are looking for a high rise condo building with best amenities or a single family home on the water with a private dock for a boat. Or you want to spend your day on the golf course you will be able to find it in Aventura Florida. You won’t be disappointed by a number of options available when you start working with your Aventura real estate agent. While the amenities will vary between buildings, the plentiful options to choose from in the Aventura Real Estate market make it easy to find something that works for you and suits your specific needs and lifestyle. Because of its close proximity to Miami and Fort Lauderdale, and easy access to all major routes, residents of Aventura FL are only a few minutes away from all excitement and lifestyle that Miami has to offer. No matter where your new home is situated, you will have plenty of opportunities to watch the yachts set sail or discover everything there is Aventura. 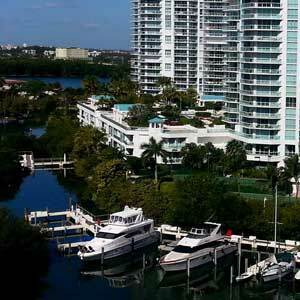 One of the biggest benefits of choosing condos for sale or homes for sale in Aventura is the location. 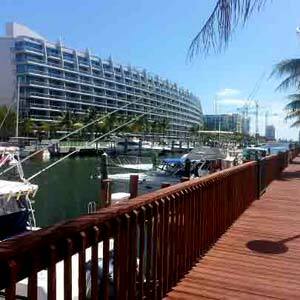 The city of Aventura is more than just a typical town, it is a small metropolis with plenty to do within the city and with Miami and Fort Lauderdale nearby one is never far away from all the action. The city of Aventura is home to the popular Aventura Mall, one of the largest shopping plazas in the area. It is also minutes away from famous Bal Harbor Shops and a short drive to Saw Grass Mall. Several boutique stores can be found throughout the city and attract shoppers from all over the world. Because of it's thriving luxury real estate market, Aventura has been known to attract many celebrities looking for a great place to live and shop. Some of or actually a lot of Aventura real estate listings are on the lakes or near waterways, City of Aventura is only 10 minutes driving distance from the Atlantic Ocean at nearby Hallandale Beach, Hollywood Beach, Sunny Isles Beach or Bal Harbour. 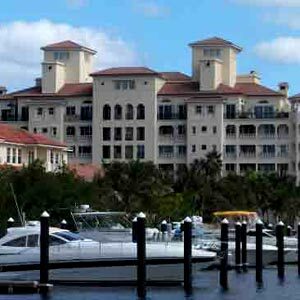 With many condo buildings and Luxury homes located on the Intracoastal, easy access to deep waters makes the area perfect for boat lovers. Many of the condos and homes offer views of the ocean, Intracoastal or nearby waterways and golf courses with views that will make you feel like you are in paradise. Aventura real estate listings offer such a diversity that there is definitely a property here that you will like! 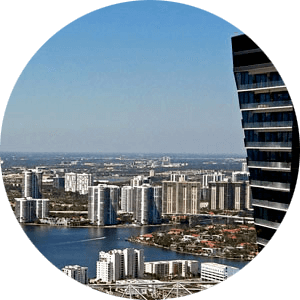 If you are looking for something small and manageable or a super luxury penthouse with infinite 360 views, you will enjoy the luxury lifestyle that Aventura real estate listings have to offer. 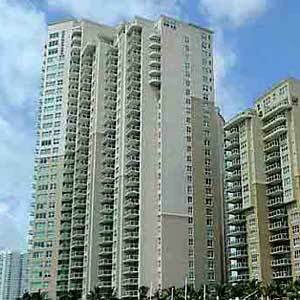 Many apartments in Aventura offer similar amenities to the luxury condos for sale. Many places offer direct access to the Aventura Intracoastal waterways. The Gorgeous scenery as well as many luxury amenities what the City of Aventura is known for. There is a high demand for rental properties, condos, and homes. Providing an easy carefree way to enjoy the way of life at Aventura paradise all year long, and if you like it then you can choose to buy. Choosing what it is you are looking for in Aventura real estate listings is your first step in discovering a one-of-a-kind lifestyle. Buyers will be surprised by the different home and condo options available for sale and what amenities they have to offer to a new owner. Discover the luxury house of your dreams in a gated community or gorgeous condo building. Call one of our Aventura Real Estate Agents 786-505-4786 or start browsing our listings online today.